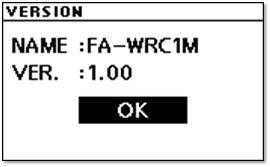 Download the Update_FAWRC1MV200.dmg file to a temporary or download directory (please note this directory for reference) on your computer. 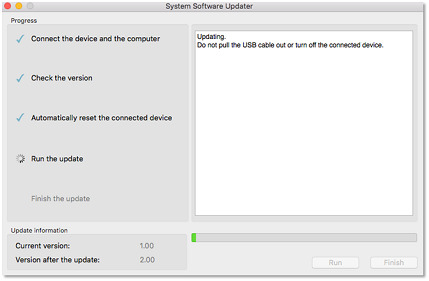 Go to the directory where you just downloaded the update, double-click the System Software Updater icon. 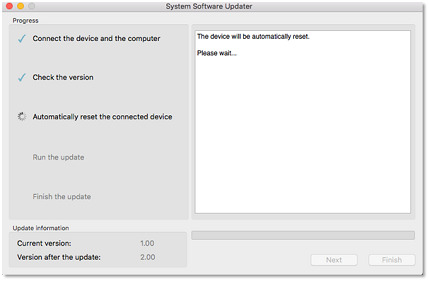 At the SystemSoftwareUpdaterTool prompt, enter the appropriate Username and Password, and then click the OK button. 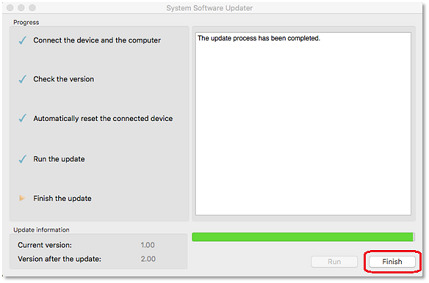 The System Software Updater screen will be displayed. 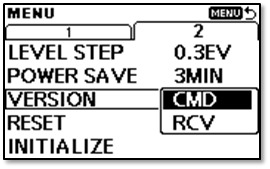 The System Software Updater will reset the Commander. 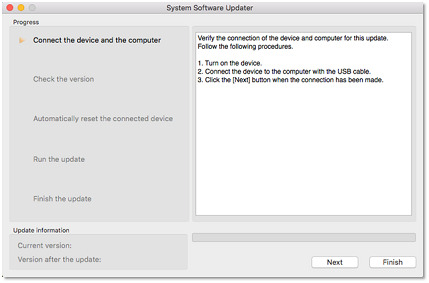 If the version number isn't 2.00, delete the Update_FAWRC1MV200.dmg file from the computer, and then download and install the update again.